Federico García Lorca was denied almost nothing by his indulgent father. 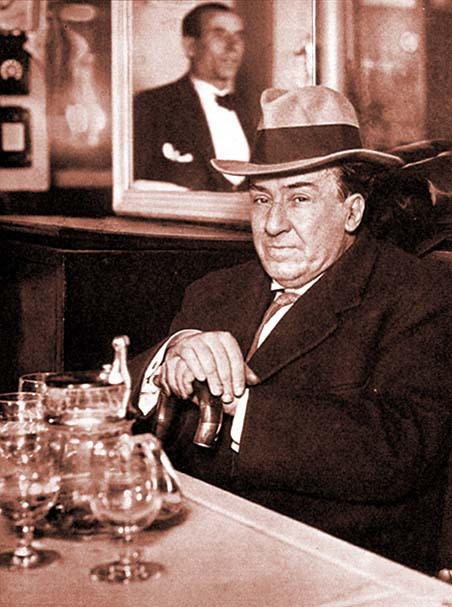 Federico was the first child of Federico García Rodríguez, a well to do farmer who had long waited for children. García Rodríguez was one of nine children to a modest family, who made a point of teaching their children to read. He was 21 when he married the 20-year-old daughter (and only child) of a very prosperous farmer. García Rodríguez made the best of his new fortune by working for his father-in-law, saving and purchasing land for himself. He became well-respected in the small Andalusian town of Fuente Vaqueros (the “Fountain of Cowboys”) and was elected to minor offices. They lived together for 14 years, childless, and she suddenly died. Her mother died a few days before, so García Rodríguez now was a very well off. García Rodríguez lived alone for three years until he selected a 27-year-old school teacher, Vicenta Lorca, to wed. She grew up living off the charity of relatives and applied herself to become a school teacher. She was not an advantageous match to the wealthiest farmer in Fuente Vaqueros, but he told her, “you talk like a book.” (Leslie Stanton, Lorca: A Dream of a Life (NY: c1999), p10.) Federico García was born a little over nine months later. Some undoubtedly considered him overly sensitive or eccentric. His early schoolmates considered him effeminate. Nevertheless he was able to act out an overly dramatic childhood in the cocoon of his family. In “Mi Pueblo” he would recall how his father would come into his room in the morning and kiss his face before he woke up. (He added: “Back then I laughed to see the expression on his face. Today I think I would weep.”) His mother taught him the drama of the church liturgy. He and his brother used the open account their father provided them at a bookstore to explore books that would have shocked the town folk: Darwin, Wilde, Voltaire, Ovid. His father had a deluxe edition of Victor Hugo’s complete works. (Hugo was on the Index Librorum Prohibitorum). He wrote dramas for his sisters to perform in and delivered services that he expected them to cry at. He often devised games where he would act the corpse. When his family thought it time that he be formally schooled they sent him off to a family friend 100 miles away. But when he got sick they brought him home immediately. 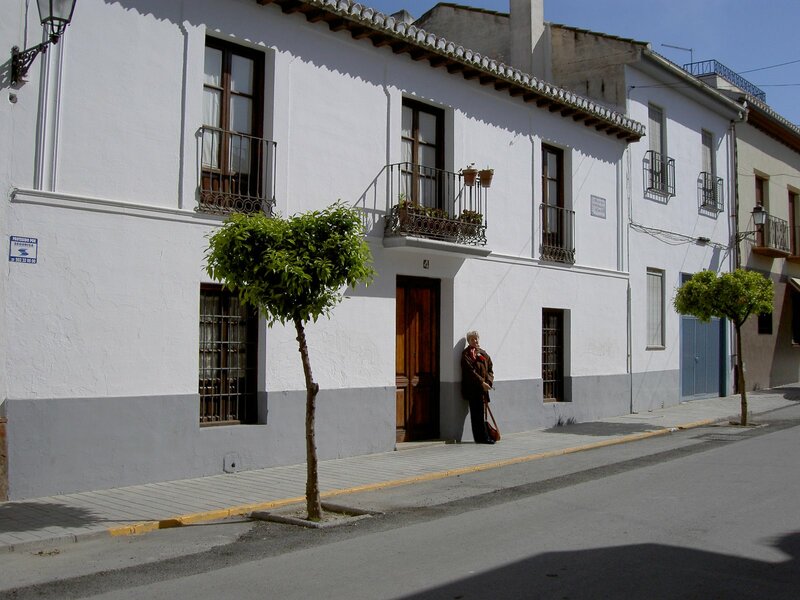 They decided to send him to Granada, only 10 miles away, but so as not be parted, his father bought a house in Granada and they all moved there. He was never a good student. His younger brother always outdid him in marks and teacher approval. He didn’t mind because he was not interested in many academic subjects. He had always been good at music and thought he would become a professional musician. His father, however, in one of the rare instances of denying him anything, declined to send him to Paris to study piano and composition. Nevertheless when a university student, he played nights at the Alameda Café, where he finally met like-spirited students. They had dreamy bohemian visions, believed in Art, and had no interest in becoming useful lawyers or merchants. He fell under the influence of energetic art historian Martín Domínguez Berreuta, a charismatic who sought out friendships with students. 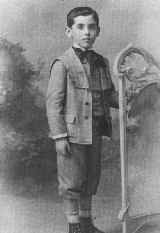 García Lorca persuaded his father to fund his trip on one of Barrueta’s annual excursions across Spain. In all, García Lorca went on four. On these trips he met Antonio Machado, Unamuno and other literary figures. He developed a sense of his Spanishness. He shared with other aspiring young poets his sexual frustrations (he was still under the illusion he was attracted to women). He began admiring the modernismo of Rubén Dario. And because Domínguez Berreuta had them maintain a journal and write for local papers, García Lorca decided to become a poet. He collected his impressions of Spain and other writings into something of a pastiche which he called Impresiones y Paisajes (Impressions and Landscapes) and asked his father to pay to have it published. His father had been concerned about the course he was taking; he had no desire that García Lorca end up a pauper like most poets he had heard of. So he sought out one of his son’s friends from the Alameda Café, journalist José Mora Guarnido and said: “As I’m sure you’ll understand, I don’t mind wasting one or two thousand pesetas to give him the pleasure of publishing a book. It would cost me more if he asked for an automobile or something worse. But I don’t want every idiot in Granada laughing at him because of the book.” He was afraid that his friends would mock the “little poems.” (Stainton at 49.) 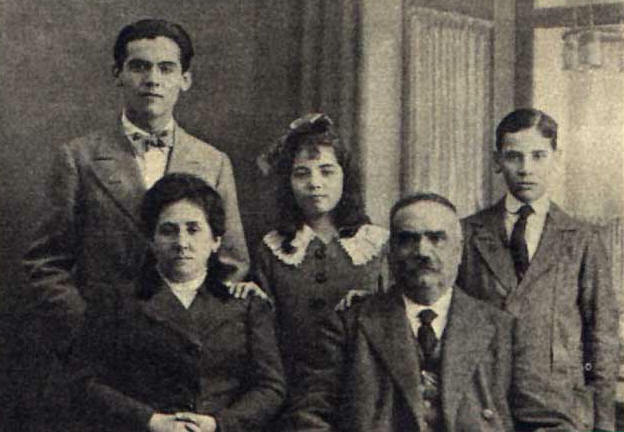 Mora Guarnido assured Lorca’s father that the writing was good, and García Rodríguez had the book published (in 1918). The book was meticulously designed, but suffered from inadequate editing. It was filled with typos, misspellings and grammatical mistakes. Nevertheless, García Lorca received a warm reception when he (terrified at rejection) read excerpts at the Arts Center of Granada. And he received good reviews from the press. The success caused García Lorca to go on a frenzy of writing — from dark to morning every day. He produced copious writings, prose, autobiography, poems, recollections. He was working through his loss of faith, his thoughts concerning women, and his fascination and fear of death. His writing was, in short, the work of a young, sensitive, middle class writer who was feeling his way in the world — a world that outside of Spain was tearing itself apart in World War and then the Spanish flu that followed it. By the time that he produced his first pure book of poetry, Libro de poemas in 1921, he had begun to shed the overly ornate language that Dario had taken from the French Symbolists and García Lorca had rejected the formulaic and ornate symbols of the symbolists like Mallarmé, in favor of more stark, more earthy and more developed images. In 1918, shortly after he had published his Impresiones y Paisajes he had begun paring down his language. He was still deeply in the melancholy of the first youthful contemplation of death, his place in the world and the significance of it all. in the midst of fog. at the font of knowledge. that have snow on them. Once they dressed in a rainbow. Besides there’s snow on my soul. or in light when thought of. makes a shroud of it. and other roses more perfect? a solution to this question? And if love cheats us? and Evil which flutters nearby. what will become of innocence? if Love has no arrows? what will become of poets? as white as my sorrow. I LOVE Lorca’s works, and this chosen poem you have presented moved me deeply. I prefer the Spanish version. Thanks for sharing.